Gone are the days of helmet throwing and akward gestures to other drivers following an on-track incident. On Friday morning, NASCAR officials announced a new addition to the rule book prohibiting drivers from exiting their cars and going on the track surface to approach another car after being involved in an incident. The change comes after last Saturday night’s on track incident involving Tony Stewart and Kevin Ward, Jr.
–After being directed to exit the car, proceed directly to the ambulance or other vehicle as directed, without approaching the racing surface or another vehicle. Obviously if the car is on fire, the driver will still immediately exit out of his vehicle. Pemberton went on to mention that he has not spoke with Tony Stewart. Stewart will not race this weekend at Michigan International Speedway, and there is no timetable for his return. What do you think about this rule? 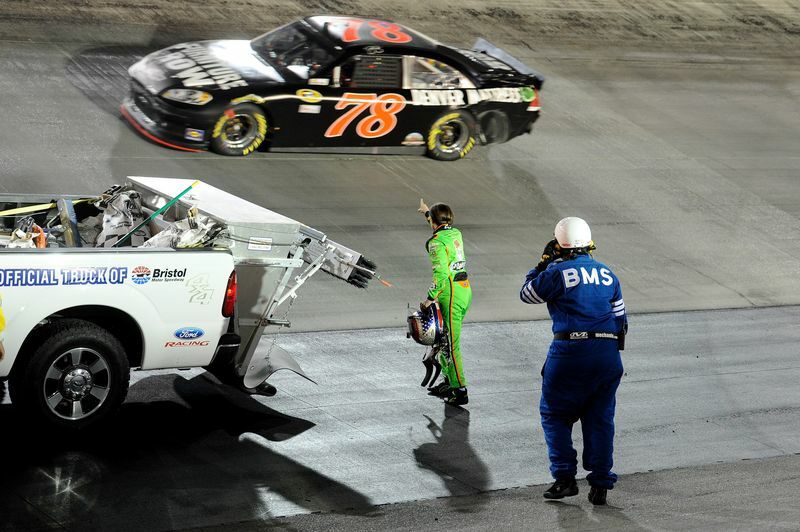 Is it long overdue or will it cause more incidents after the race is over on pit road or in the garage?